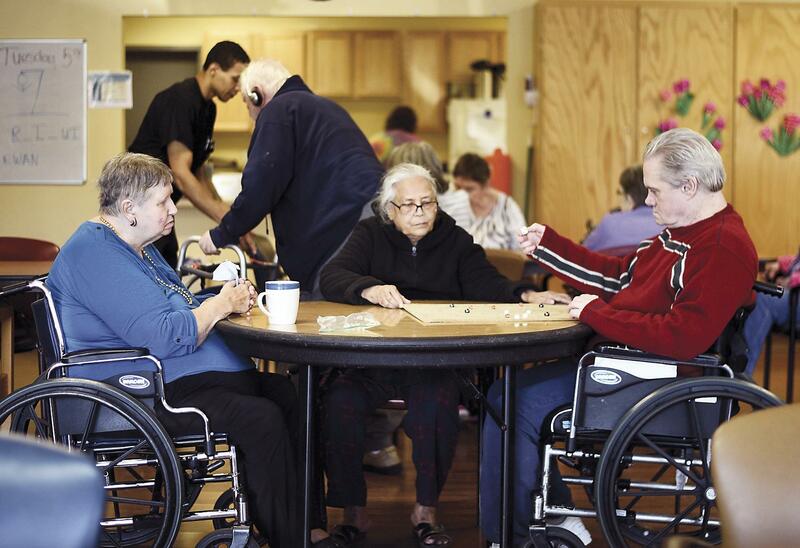 Sun., June 17, 2018, 4:13 p.m.
PULLMAN, Wash. – As her disease worsened, Kristin Prieur’s mother, who suffers from dementia, spent her days socializing at Circles of Caring, an adult day health program in Pullman. Originally a pilot program meant to address a gap in services for people with dementia and Alzheimer’s disease, it grew to provide health services for adults with a range of chronic illnesses. Circles also offers respite care for its participants’ caregivers, allowing them the time to work, run errands and look after their own health. Founded by community leaders in Moscow and Pullman with the help of Gritman Medical Center, Circles opened its doors July 1, 2001, after securing a three-year federal rural health outreach grant totaling $600,000. Sharon Benson, author of the grant proposal and the former co-director of Circles of Caring, said Medicare was supposed to take over funding for the program after the three-year period. Instead, Gritman funded the program until 2012, spending about $3.8 million. Prieur, an in-home caregiver, said she saw firsthand how vital Circles’ services were to the Moscow-Pullman community, so she fought to continue the program when Gritman no longer could fully support the service. Circles of Caring, now run by participants’ families with the help of local donors, re-opened its doors Jan. 1, 2013, in Moscow. The organization moved to Pullman in September 2014. Hollie Mooney, a registered nurse who is the executive director of Circles, said the program focuses on holistic health, with staff monitoring participants’ physical, social and cognitive functioning. Prieur said the social component of Circles is what helps participants thrive even as their illnesses progress. Mooney, along with Circles’ certified nursing assistants and volunteers, makes sure participants’ basic needs are met. They provide meals, monitor blood sugar and even clip participants’ toenails so they can spend quality time at home with their caregivers. In the United States, nearly 1 in 4 caregivers spends 41 hours or more per week providing care to their loved ones, according to 2015 statistics from the National Alliance for Caregiving and AARP. Prieur said having a respite care option made it possible to keep her mother out of a long-term care facility while easing her own burden as a caregiver. Mooney said when she first started working at Circles, she could see what a difference the program made in the lives of participants and their families. As director, Mooney strives to continue that progress. Published: June 17, 2018, 4:13 p.m.